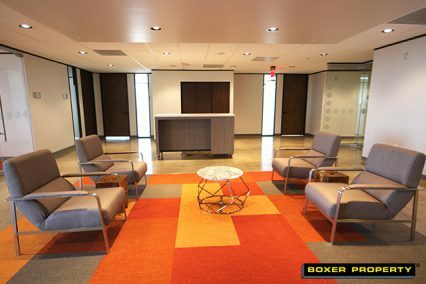 Our Boxer Business Briefs continues to help our tenants succeed! This week, Russ Capper sits down with attorney, Eddrea McKnight, founder of Thatsmylawyer.com in her Houston office space at 7324 Southwest Freeway. She goes into detail about how she created her innovative website and what it means to her clients utilizing her services. RC: Tell us about Thatsmylawyer.com. That is the approach I take when it comes to practicing law. We think outside of the box, we don’t follow the norm, and we challenge the status quo. That’s what Thatsmylawyer.com is all about. EM: It’s definitely quite a domain name. It wasn’t just out there in cyberspace waiting for me. It was quite the challenge to get, but now that we have it, it’s mine to keep! RC: Before you had it, were you that much focused on capturing new clients via the web? EM: I actually didn’t have a website before. I had spoken to other web developers but I just couldn’t capture the essence of who I was as a lawyer. People think that I am too young even though I have been practicing for almost five years. But instead of using that as a disadvantage, it has really become an advantage to my practice. What I found is that people love the idea of having a fresh approach to the law. You can see when we get in the courtroom, we’re hungry, we’re excited about the law, and we’re not desensitized by what’s going on around us. It has really become an advantage to my practice. RC: Great! You’ve already mentioned the courtroom. Tell us, what kind of law do you practice? EM: I primarily practice criminal defense. I like to say that I’m a trial lawyer and not a plea lawyer, meaning we’re not afraid to go to trial. I love going to trial. In fact, that’s my favorite part about being a lawyer. In addition to trying criminal cases, which includes things as small as an assault on a family member to something as large as a murder case, we also focus of employee discrimination. Specifically, we focus on employee discrimination toward women, whether it be because of gender, age, pregnancy, or sexual harassment. We have a lot on our plates and it keeps us busy! RC: With that domain name, I understand you’ve done some billboard advertising. I would think that you’re attracting a lot of attention! EM: Yes! The billboard was definitely a power move, so to speak! If you ever see the billboard, you’ll know it’s me because it’s very different. Once again, we’re thinking outside the box. In fact, it’s just my picture with the website address. When I spoke with the designer I said, “Look, I want the design to focus on the website and that’s it!” We did not need to add my number or address. RC: There’s not even a phone number on it? EM: At first, they tried to discourage me from doing it. I said, “This is what people want! People remember websites and not phone numbers.” And I was right! RC: It definitively sounds like you know what you’re doing! I really appreciate you sharing your story with us. EM: Thank you for having me! 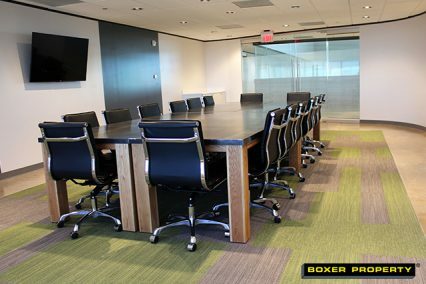 Are you a Boxer Property tenant? Get your business featured in our next Boxer Business Briefs!